Here is another good book from another great Indie author. I think it may still be free for today, but even if not, it’s worth paying for. Princess Michal is used to getting everything she wants, and she has her heart set on the young hero David. But their passionate love affair is destroyed by her father’s murderous rage. Will David’s departing promises be enough? David the King is no longer the charming harpist she gave her heart to. The most powerful man in Israel, he falls into the arms of the beautiful Bathsheba. Temptation comes in the form of a dashing Philistine warrior. Michal vows to be the only woman in David’s heart, but does she know her own? 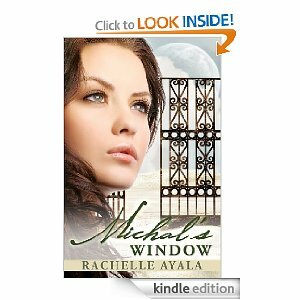 A novel of betrayal, forbidden love, and redemption, Michal’s Window is an imaginative retelling of King David’s story through the eyes of the woman who loved him first.